The Apple TV app will complement Zillow’s existing suite of Apple products by allowing users to view any searches and homes they may already have saved on their iPhones, iPads or Apple Watches. In addition, a new Zillow for TV channel will feature home entertainment and improvement programs, as well as real estate market tips. "We have combined the best of home shopping with new video content to help people find the home of their dreams or get inspired with home improvement ideas, unique homes or do-it-yourself tips -- right from their living room TV," said Zillow's chief marketing officer. 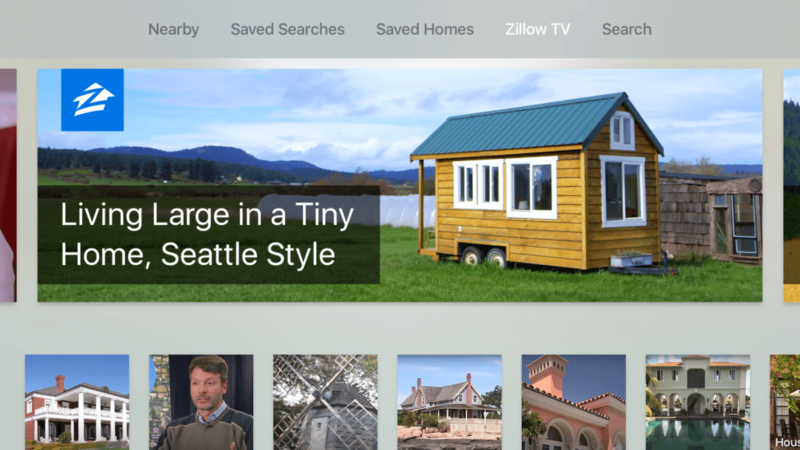 UPDATE Oct. 29, 2015: — Zillow’s Apple TV app is live. “Looking for a home impacts the whole family. With the new Apple TV, everyone can gather together to view beautiful images of homes and feel like a part of this major decision,” said Jeremy Wacksman, chief marketing officer at Zillow, in a statement. The new Apple TV features a new operating system, Siri support, gaming and an App Store — including online real estate marketplace Zillow, Apple announced at its September media event. 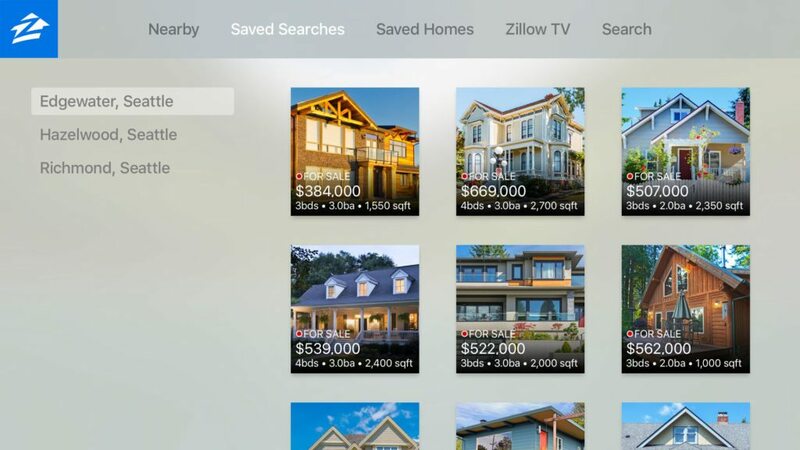 The fourth generation of the television streaming device will bring Zillow’s real estate listings and other information to users’ living rooms, allowing them to view nearby properties for sale, home facts and history, mortgage information and Zestimate details on their high-definition television screens. The app will complement Zillow’s existing suite of Apple products by allowing users to view any searches and homes they may already have saved on their iPhones, iPads or Apple Watches. 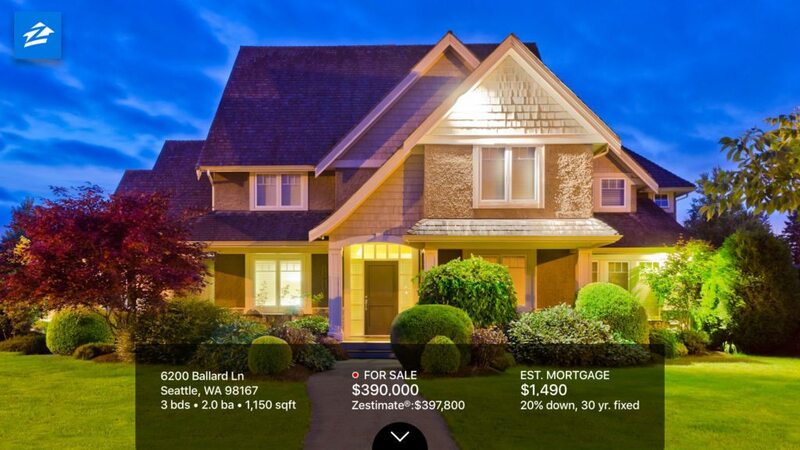 “We’re super-excited about having an app ready at launch,” said Jeremy Wacksman, Zillow’s chief marketing officer. “The idea is not just to have what is already on your iPhone blown up on a TV screen. Wacksman said the apps are a bit of a work in progress, as developers will be assessing user adoption, comfort and demand. The App Store will feature many games, but Zillow will be among other apps such as the Airbnb vacation booking app and the Gilt luxury shopping app.